RIP my annual ritual of passing Mama Mia! 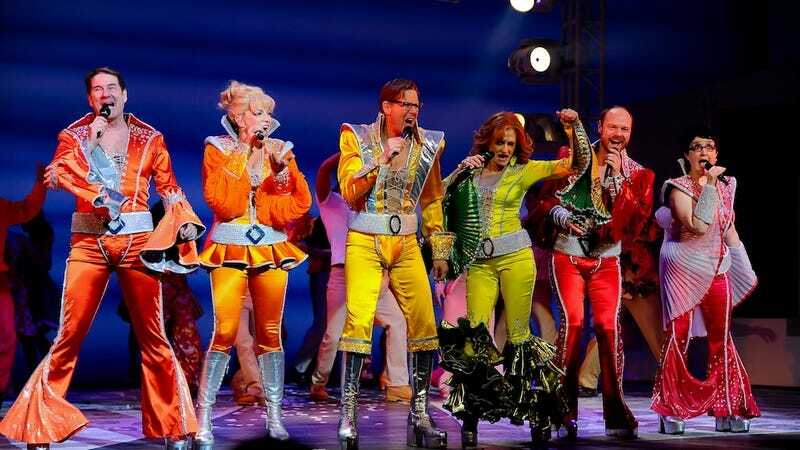 on Broadway and thinking, “Huh, that show’s still running?” Because Mama Mia!’s 14-year Broadway run is finally coming to an end. Cram your girls’ weekend trips in while you can! Of course, it also was adapted into the 2008 film with Meryl Streep and Pierce Brosnan, generating a worldwide gross of $600 million-plus. That figure pales against the success of the live show. Its worldwide gross from 49 productions on every continent but Antarctica exceeds $2 billion. The Broadway run alone has grossed over $600 million, according to the trade group Broadway League.